Of the 200 Wild and Scenic Rivers in the United States, 58 of them are here in the state of Oregon. You could say we have more than our fair share. Perhaps one of the most famous is the Rogue National Wild and Scenic River, which was one of the original eight designated in 1968. Our trip began at Eagle Creek Trail #501. Carrying our lightweight BakRaft kayaks in our backpacks, we hiked upstream into the Salmon-Huckleberry Wilderness. It’s hard to believe that this well-maintained and stunning beautiful trail is just 41 miles from downtown Portland. After three miles of hiking, we reached the creek. Excitedly, we inflated our kayaks and started paddling downstream. The whitewater was fun, with some Class IV rapids and occasional log portage. In layman’s terms, it was awesome. Like our other experiences at the National Wild and Scenic Rivers in Oregon, we left inspired with a strong sense of appreciation for everyone who fought to protect our pristine rivers. 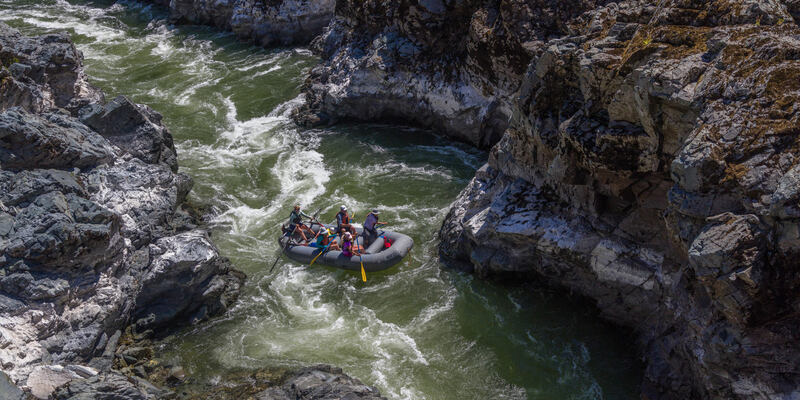 Oregon has more National Wild and Scenic Rivers than any other state. Please join me in celebrating these gorgeous waterways by enjoying one or more of them by boat, bike or foot. 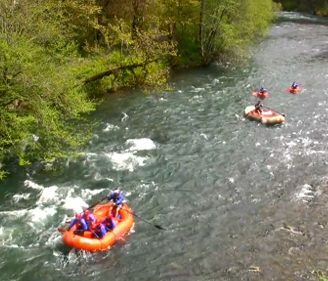 Is there a local guide for rafting on the North Umpqua River? Yes, there are a few rafting guides on the North Umpqua River. 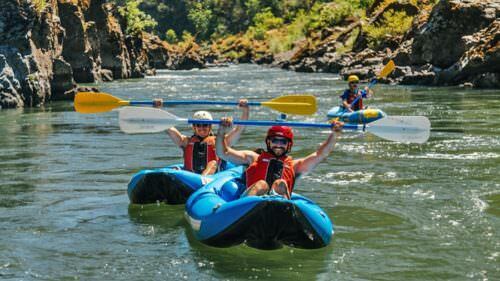 Check out North Umpqua Outfitters, Orange Torpedo Trips, and Oregon Ridge & River Excursions.